Lastly, in the videos below, Kim talks about his user experience with the AirTurn Bluetooth page-turning pedal. Disclosure: the videos are produced by the folks affiliated with AirTurn. Regardless, Kim gives useful insights from a product review standpoint. 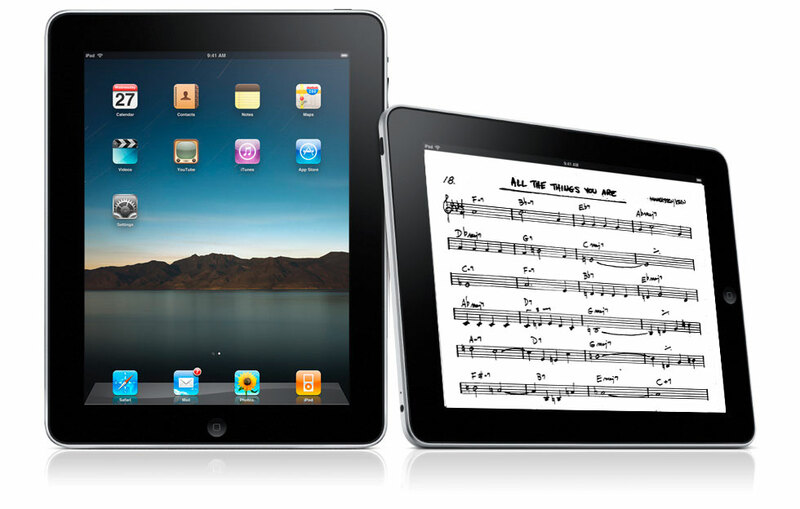 Developers, musicians and creative minds will gather to develop new applications for digital classical music reception. Live performances of our young musicians will allow developers to produce new content and data – a long weekend full of innovative possibilities in the field of music technology. There are concerts, hacking, pitches, and project ideas on the agenda. Projects proposed by participants so far include: sheet music hacking (@thomasbonte), mashing up the Europeana API against the Spotify API to help transcribe and analyse old scores (@bfk), automatic Bach generator (@thebluebadger), and “Interactive sheet music display Music21+ MuseScore iPad app with the recording made at CMHD + the sheet music, synced. Some more crazy stuff on the spot!” (@lasconic) which I don’t even know what that means, but it sounds exciting and geeky?!? If you can’t attend in person, the presentation of hacks on the last day of the event will be live-streamed – stay tuned to their website for details.